Arq can send a status report via email whenever it finishes backing up. To set it up, open "Preferences" (from the "Arq" menu) and select the "Email" tab. If you want to use Google's server to send the email, the settings in the screen shot above should work. 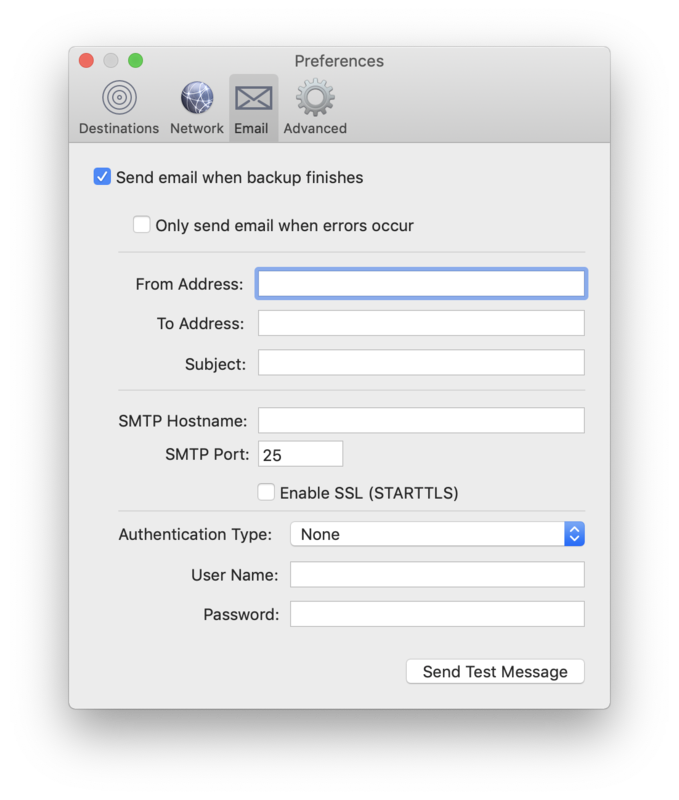 Specifically, try SMTP host smtp.gmail.com, SMTP port 587, use SSL/TLS, and use "Password" authentication type with your Gmail account username/password. If you've got 2-factor authentication enabled for your Google account, this Stack Overflow post may help.